Cities across the country are switching to wireless smart meters. You may even have one in your home. Utility companies say the new technology helps consumers monitor their energy use and potentially save money. But smart meters also reveals intimate details about what’s going on inside the home. By collecting energy use data at high frequencies—typically every 5, 15, or 30 minutes—smart meters know exactly how much electricity is being used, and when. Patterns in your smart meter data can reveal when you are home, when you are sleeping, when you take a shower, and even whether you cook dinner on the stove or in the microwave. These are all private details about what’s going on inside your home—details that should be clearly within the bounds of Fourth Amendment protection. But a federal district court in Illinois has held—in a lawsuit alleging that smart meters installed in Naperville, Illinois, put the privacy of the city’s citizens at risk—that Americans can’t reasonably expect any privacy in the data collected by these devices. 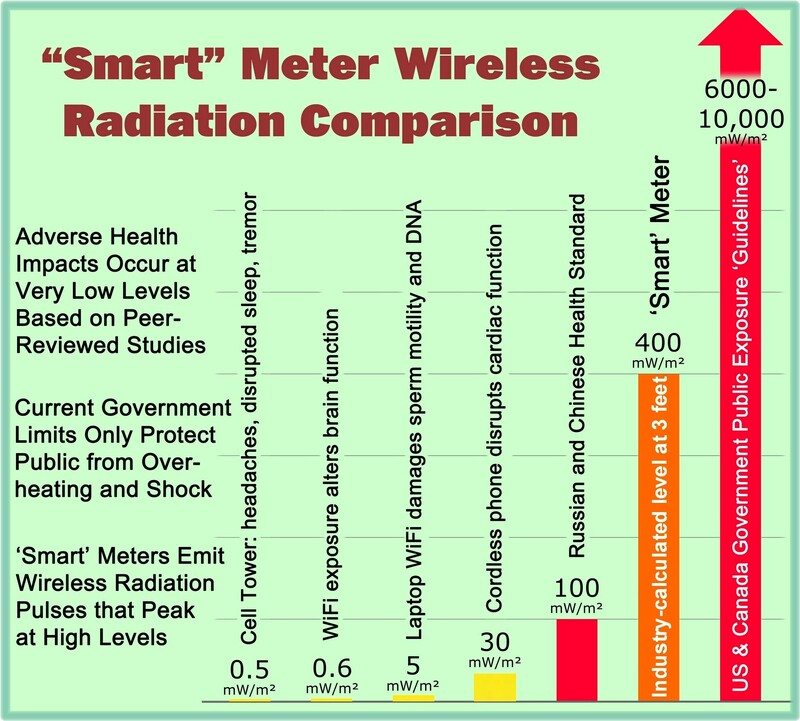 According to the court, smart meter data is completely beyond the protection of the Fourth Amendment. The case is currently on appeal to the United States Court of Appeals for the Seventh Circuit, which should throw out the district court’s sweeping, dangerous decision because it threatens the privacy of Americans across the country. Roughly 65 million smart meters have been installed in the United States in recent years, with 88% of them, over 57 million, in homes of American consumers. More than 40 percent of American households currently have a smart meter, and experts predict that number will reach about 80% by 2020. This case has far-reaching implications. The lower court’s decision was based on flawed assumptions about smart meter technology. The court was convinced that data collected from smart meters is no different from data collected from analog meters, in terms of what it reveals about what’s going on inside the home. But that’s simply not the case. Smart meters not only produce far more data than analog meters—those set at collecting data in 15-minute intervals produce 2,880 meter readings per month compared to just one monthly reading for analog meters—but the data is also far more intimate. A single monthly read of cumulative household energy use does not reveal how energy is being used throughout the course of a day. But smart meter data does. And its time granularity tells a story about what is going on inside the home for anyone who wishes to read it. The case law is clear: details of the home are entitled to the utmost Fourth Amendment protection. And this should include smart meter data. EFF and Privacy International asked the Seventh Circuit if we could weigh in on this important case. We’ve requested to file a brief to help the court understand the broader impact of the lower court’s decision—and specifically, where the lower court went wrong. We hope the federal appeals court accepts our brief and throws out the lower court’s dangerous and out-of-touch ruling. The only changes made by SkyVision Solutions to the EFF press release were inclusion of a SkyVision Solutions graphic, using bold font in some locations for emphasis and also correcting the spelling in the last word of the press release where it had said “ruing.” There is no relationship between EFF and SkyVision Solutions. This entry was posted in Smart Grid, Smart Meters, and RF Emissions and tagged Lawsuit, Privacy, Smart Meters. Bookmark the permalink. You are both correct. Brian is saying it from the perspective of the corporate / commercial system — ie. how they are getting away with it. And there is huge value to comprehending this, as it is very close to the core of the issue. Utilities are extorting the people — saying how part of the agreement to get power is to accept all of the ‘features’ of the s meter — and if you don’t like it, you don’t have to have electricity. This is flat out extortion. They are doing this by means of coerced acceptance into the revised terms of their contract. The rights as recognized in the Constitution are indeed unalienable (not ‘lien’able – not able to separated), but if the individual has a contractual relationship with another, they can of course give up these rights, in essence. So for example, if I write you a note saying, “in return for electricity, you can spy on me,” there is no inherent reason why this contract would be considered invalid, even though I am entitled to be free from surveillance in my own home. By default I have these rights, until I contract them away of my own volition. Very important point. And this is exactly how the utilties see it, KT. From their perspective, we have given up rights because we have accepted (under coercion) their contract offer. So there is agreement — be it tacit, coerced, or explicit. But there is commercial agreement in place. It’s all just business. I generally agree with that, but in this specific instance of Naperville, it was quite clear that NSMA members did NOT contract their rights away. PRIOR to the installation of the meters, they took a number of measures, including the filing of a Federal lawsuit against the government-operated utility (not a private corporation) to vigorously oppose the program, sending certified “no consent” letters to the City, posting signs and notices on their property, only to be overrun by police enforced installation of smart meters with the subsequent arrest of two ladies in the process. In fact, the disconnection of electricity was never an option provided by the government. The court erred in equating use of electricity with consent to smart-meter data surveillance. Moreover, a “consent” justification is absurd under the circumstances since electricity is a basic necessity of modern life and the DPU-E is a government monopoly, which permits residents no other choice for their electricity needs. See In re Personal Restraint Petition of Maxfield, 945 P.2d 196, 200–01 (Wash. 1997) (en banc) (“Electricity, even more than telephone service, is a ‘necessary component’ of modern life, pervading every aspect of an individual’s business and personal life: it heats our homes, powers our appliances, and lights our nights.”); see also Memphis Light, Gas & Water Div. v. Craft, 436 U.S. 1, 18 (1978) (“Utility service is a necessity of modern life; indeed, the discontinuance of water or heating for even short periods of time may threaten health and safety.”). Smart-meter use is not optional in Naperville’s program. Consent, moreover, inherently raises factual issues. Consent to a government search depends on many circumstances, including any coercive aspects of the situation. 79 C.J.S. Searches § 160 (consent to a government search must not be the result of duress or coercion). In assessing consent, one must know the disclosures made, how accurately or fully they describe actual practices, and the options provided to consumers. None of these facts were, or could have been, before the court at the pleadings stage and thus the court had no adequate foundation for determining consent. The court’s dismissal of the Data Privacy Claims should be reversed because, by erroneously finding NSMA members had consented to using smart meters and making its other errors regarding their expectations of privacy in their homes, the relevance of inferences drawn from the smart-meter data, and the City’s use of the data, the court ignored NSMA’s well-pleaded allegations and the Supreme Court’s controlling Fourth Amendment precedents. KT, your argument here on the topic of consent is certainly valid from my point of view. More often than not – actually in all cases of significance thus far – I’ve seen courts complicit together with industry in allowing (or even pushing) their agenda to proceed… you maybe have noticed the same thing. Courts currently seem more in the business of “for profit business” and less of arbitration, which of course threatens the entire rule of law basis and freedoms in the western world. I guess we’ll find out how capable the courts will be in this matter, in terms of rendering an uncorrupted/sound judgment, with the finger solely being put on the issue of consent. Thank you for pushing this forward. They own the entity that is you on the contract, this is the means by which they ‘steal’ your data, because they make a separate entity with your exact name and title. This is, in effect a legal fiction that they own, it becomes a sub corporation of the utility and thus your data becomes theirs. I am not saying this is right, but more to the point, this is the legality of it. Remember also that by legal title the state owns your person and this is what they will use to say ‘sorry, no 4th amendment rights’ especially since you have engaged in commerce with the utility to get power, one aspect of which is getting power in exchange for money. They use the fact that you must have power to live as the monopoly on your data. Here in BC they actually amalgamate your entire property (not just the data) into their ownership. I think you miss the point of how the founding fathers (in the United States) intended our Declaration of Independence and Constitution to be interpreted where you seem to be playing in word games. The Founding Fathers envisioned limited government where the Constitution restricted what government could do to the citizens as their rights were inalienable. In most other nations, I agree that the people are subjects of the state. In the case of the Fourth Amendment, the arguments in the smart meter case are particularly applicable since Naperville has a government-run utility and that is why this case had to be heard in a Federal court. Some people think the 4th Amendment only applies to law enforcement but that it is not correct, it applies to any governmental action. 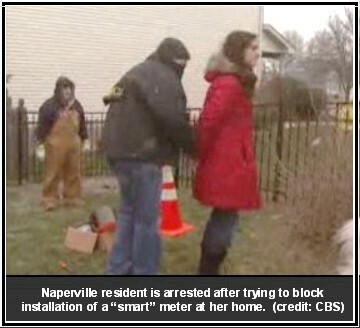 Also in Naperville, people WERE arrested for opposing smart meter installations which did involve law enforcement.